Professional business website design is your outlet to the world. We make sure it's built right the first time. Logo design is a large part of your marketing, products, and services. We make sure it's beautiful. Business website SEO helps increase sales and growth. Make sure users can find you on search engines. Professional eCommerce website design makes online sales easier. Make eCommerce part of your business. Maintaining your website should be easy. Like all of our creative products, it is! Using a "point and click" approach to modern website design, we make editing quick and simple. Your small business needs a professional website design. We make it easier to get exactly what you want for your online marketing. All of our business website design packages come with Google Analytics for tracking user engagement, an SSL certificate for enhanced security, and a fully-featured Content Management System so you can edit your website when you want to. A professional logo is a large part of every organization's brand and marketing strategy. We design and develop business logos for companies of all shapes and sizes. We make your business logo design reputable and beautiful so it works for you and your organization. "Foundry 72 understands the hard work, blood, sweat, and tears we as small business owners put into our businesses to make them into what we call the "American Dream". They're always on time, efficient, and very knowledgeable. We'll never use anyone else. Keep up the outstanding work!" "Foundry 72 fully grasps the importance of longevity in branding, and that isn't something every logo designer understands. I appreciate the time and attention they gave me as a client, and I'm so pleased to have a logo that will stand the test of time."  "Foundry 72 gave us a super awesome website as well as super awesome service! I’m so happy I got to use their skills and now I have a great-looking, clear, and professional website as a result!" "Foundry 72 was brought on to design our new logo and website and we couldn't be happier with the results." We include SSL certificates for every website we design so your users and information are secure at all times. We ensure your business is being seen by getting your website ranked higher in Google's search engine results pages. You don't need to know HTML or CSS to use our Content Management System. It's as simple as point and click. Done! Every website we design is completely responsive meaning that it formats to any device size. Build contact forms so users can contact you right from your website. They fill out the info, click send, and it's delivered to you. Google Analytics lets you see detailed information about the users visiting your website 24 hours a day.